It is estimated that in the UK alone there are 80,000 children suffering from Depression, that equates to about 4% of children. In this blog I am going to go through what treatment for these children involves. 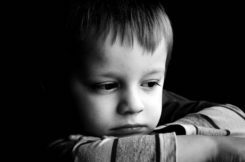 Unfortunately, there is currently no good quality evidence indicating what the best treatment for children with depression is. So, I am going to look first at the recommendations provided by The National Institute for Health and Care Excellent (NICE), the body that provides national guidance and advice to improve health and social care. I will then talk through what I recommend based on my 26 years of working with children and their families to overcome depression. In the first instance, for mild cases of depression, NICE recommends psychological therapy in the form of either nonspecific supportive counselling, group Cognitive Behavioural Therapy (CBT) or guided self-help. If this doesn’t help and for moderate cases of depression, NICE recommends individual CBT, family therapy and psychodynamic psychotherapy. If the child’s symptoms do not improve and if they are over 12 years, NICE recommends then combining psychological therapy with antidepressant medication. In these sessions a child is helped to understand why they are feeling what they are feeling. CBT techniques (specifically developed for children) can be used to help a child identify the thoughts that are triggering their feelings and how the behaviours that follow on from this can make them feel worse. These techniques can also be used to help children develop alternative thoughts and behaviours that will lift not only their mood but also their self-esteem and confidence, elements that are important in protecting against relapse and the occurrence of other mental health problems. The techniques learned not only help the child to manage the difficulties that they are currently experiencing but equip them with skills that they can use throughout their lives. Regular parent sessions are important because a parent is a child’s single biggest influence, so what they teach their child will have far more significance than what a therapist teaches them. Parents are also available every day of the week, unlike a therapist who is only available during the therapy session. In the parent sessions the therapist will help the parents understand why their child is depressed (using similar techniques as those used to help the child understand) and will show them ways of structuring their child’s environment and interacting with their child that will reduce negative feelings and support feelings of achievement, mastery over their world and of course, happiness. Family sessions involve supporting the family to work as a team to make sure that all members feel valued and if as they have a say in how the family live their lives. The duration of therapy will depend on the severity of the child’s depression, how long they have been suffering and upon whether other family members are experiencing or have experienced mental health problems. In my experience, children whose families have been able to complete the full course of therapy experience a complete recovery from depression.